It’s a subject we’ve raised on several occasions before, though one that warrants on-going discussion. 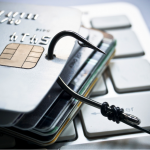 Particularly as the world faces more complex and on-going issues with cybercrime than ever before, there really isn’t such a thing as being too careful. In this instance, we’re talking about safety and security in relation to mobile casino gaming. Slowly but surely, mobile gaming is becoming the preferred option for a quite spectacular proportion of casino gamers worldwide. To such an extent that sooner or later, mobile will dominate the entire industry in a big way. 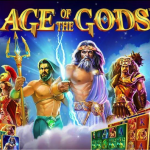 On one hand, you could argue that advances in technology and general security measures are adding up to the safest mobile experience for casino gamers to date. On the other, you’d also the right to state that criminals are continually refining and advancing their own techniques to get around these safety measures. 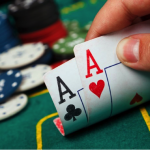 The key question being therefore – is mobile casino gaming safe? To be frank, there’s no hard and fast answer. And nor should anyone try to convince you there is. 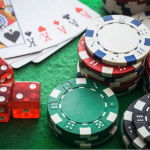 In truth, mobile casino safety and security is a complex issue and one that falls under the near-direct control of the gamer. Or to put it another way, it’s up to you and you alone to determine how safe or otherwise your gaming experience is. So once again, the following guidelines are provided not to cause panic, but rather to encourage mobile gamers to look out for their own best interests. As always, the key to success when it comes to safety and security is to choose trusted and top-rated casinos in the first place. These days, there’s a hell of a lot the average casino can do to safeguard its customers and their private information. It’s just that some casinos make considerably more effort than others. Unless any given casino has an established track record for taking safety and security extremely seriously, it isn’t a casino you want anything to do with. Take the time to consult as many reviews and recommendations as necessary, in order to make a safe and sensible decision. For the most part, sticking with a major brand that’s clearly demonstrated its commitment to security represents a good way to go. 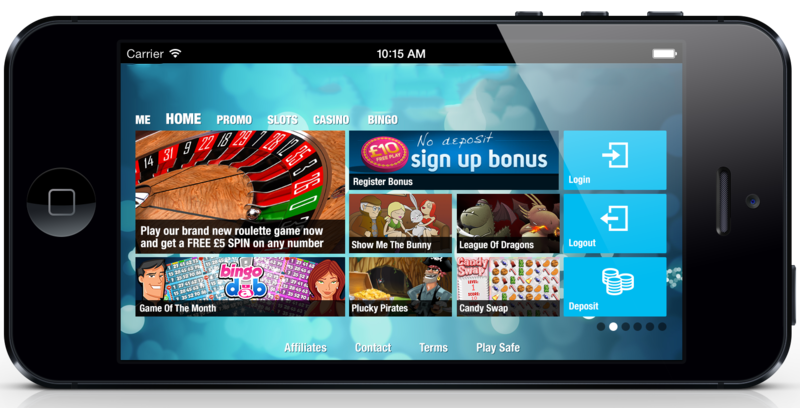 By its very nature, mobile gaming inherently involves logging on and playing casino games when out and about. 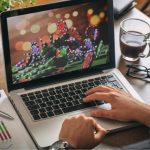 While millions of gamers use their mobile devices to access their favourite casino games from home, millions more dive into the action from pretty much anywhere they happen to be at the time. The morning commute, an airport departure lounge, sitting in the park on a (rare) sunny day – all prime opportunities for a flutter. The thing is though, unless you are 100% satisfied that the network you are using is as secure as it gets, you’d be wise not to bother. Technically speaking, accessing online casinos by way of 4G and cellular networks in general is considered to be safe. While it’s possible for hackers to find their way into such networks, it doesn’t happen particularly often. By contrast, open and shared Wi-Fi networks in all forms represent a surprisingly severe security threat. When a Wi-Fi network is open to people other than you, it’s incredibly easy to monitor what others are doing at all times. Hence, the rather stark warning regarding casino gaming via unsecured networks of any kind. Long story short – don’t do it! Speaking of having your movements monitored, you’d be shocked if you knew just how many criminal acts take place every year as a result of people simply looking over the shoulders of those in the vicinity. For example, if the chap behind you spots the username and password you use to log into a casino, you’re in for a rough ride. Likewise, if they see you enter any of your secure payment information, that’s all they need to dip into your accounts and bleed you dry. You’d be forgiven for thinking that most criminals have better things to do than sit around waiting for folk to publicly enter their private information. In reality, criminals are opportunists and this is precisely what they do. After all, if stealing your account information means then scooping £2,000 from your bank account, it’s certainly not a bad day’s work for them. Less on the subject of safety and more a case of common sense, don’t even think about gambling online unless you have a flawlessly reliable connection. The reason being that if you find yourself on the verge of striking it rich only to suddenly be booted off the network…well, let’s just say the casino probably isn’t going to accept this as an excuse. If you encounter any technical difficulties whatsoever that rob you of a potential fortune, you’ll only have yourself to blame when you’re denied access to your winnings. Once again therefore, this is another reason why it’s generally inadvisable to use Wi-Fi networks and general connections you aren’t familiar with. If you can’t say with 100% certainty that it is as reliable as it gets, it’s really not worth taking the risk. Last but not least, the number-one rule when it comes to safety and security online in all contexts is that of using strong and regularly-changed passwords. Nevertheless, it’s all for nothing if you make the ridiculously common mistake of not bothering to log out of your accounts. Or for that matter, using autofill to keep your usernames and passwords entered in the respective boxes. Doing so could save you a few seconds here and there, but could also result in you losing more than you can imagine. You need to assume that at any given moment on any given day, you could accidentally leave your phone in a public place. Alternatively, it could be swiped without you ever having realised it. As it’s not exactly difficult to hack into a locked phone, ask yourself – what could they gain access to, if really wanted to? The answer really doesn’t bear thinking about, so you need to make sure it doesn’t happen…ever!